A recent study conducted on 30 medicinal plant extracts from the hills of Darjeeling has concluded that five among them have cancer curing properties. The research was conducted under the aegis of the BMC Complementary and Alternative Medicine 2015. Ethanolic leaf extracts from the 30 plants were tested for their cytotoxicity against human breast adenocarcinoma cell line (MCF 7), human hepatocarcinoma cell line (HepG2) and human cervix adenocarcinoma cell line (HeLa). Cytotoxicity levels were evaluated by performing MTT assay, trypan blue exclusion assay and morphological assessment under phase contrast inverted microscope. For the extracts that tested positive, IC50 (the concentration that inhibits cell growth by 50 per cent) was calculated. The extracts were further subjected to Thin Layer Chromatography (TLC) to determine their phytochemical profile. 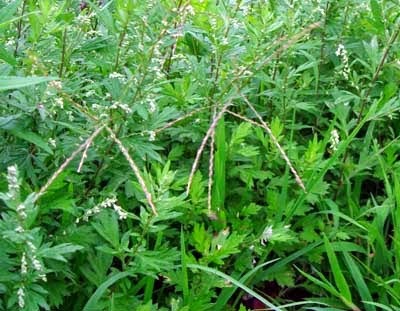 As a result, five of the extracts, namely Artemisia Indica (Japanese Magwort or Titeypati), Eupatorium Odoratum (bitter bush/tonka bean), Eupatorium Adenophorum (small daisy), Maesa Macrophylla (big-leafed Magnolia) and Phlogacanthus Thyrsiformis (Nongmangkha) showed a 50 per cent capability of inhibiting cancer cell line growth at concentrations of 50gm/ml. The five leaf extracts were then screened for their cytotoxic activity against three human cancerous cell lines - MCF7, HeLa and HepG2. Maesa Macrophylla (big-leaf Magnolia), comprising multiple known biologically active compounds, significantly inhibited the growth of HeLa and MCF7 cancerous cell lines. A recent study conducted on 30 medicinal plant extracts from the hills of Darjeeling has concluded that five among them have cancer curing properties.